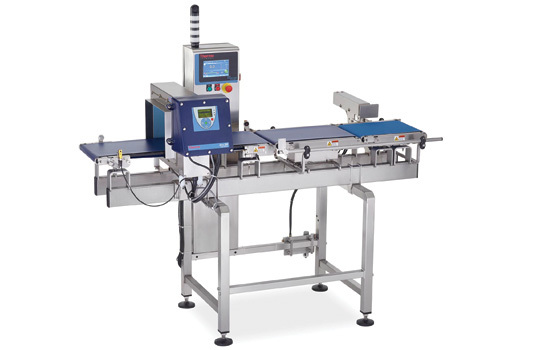 Weigh, count and reject in a single, non-stop checkweighing solution. 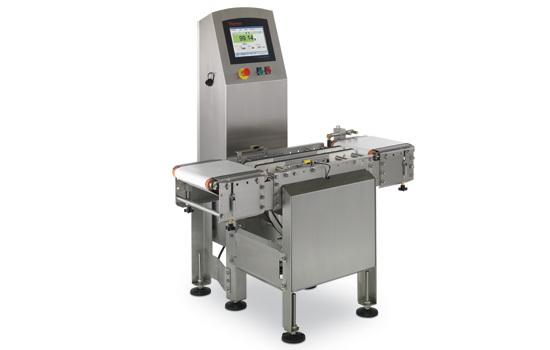 Weigh large, heavy packages without stopping or recalibrating the conveyor. With a Thermo Scientific checkweigher customized to your specifications, you can depend on accurate weight control, maximized efficiency, and consistent product throughput, even in rugged industrial environments. 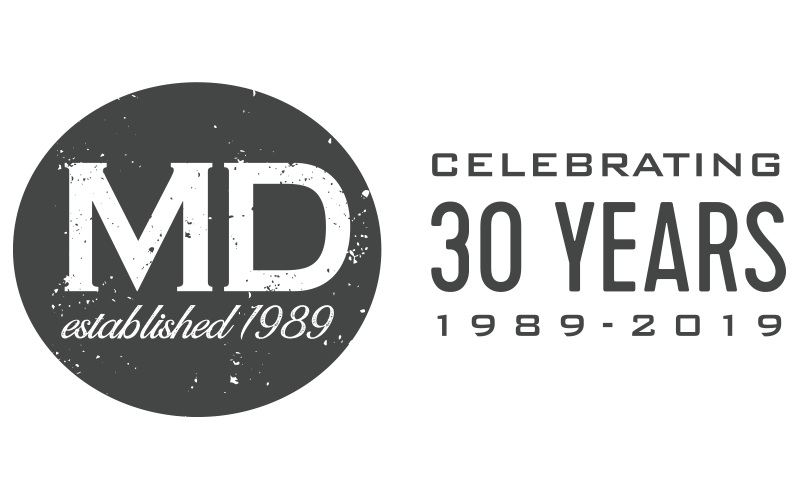 From raw or frozen products, bags, cases or barrels to mailers, totes and cases, we’ll keep your line moving toward maximum productivity at all times. Maximize your productivity with the durable and dependable Thermo Scientific™ Versa Frame 44HB Heavy Duty Weighframe, designed for rugged industrial environments with line rates up to 100 packages per minute (up to 300 fpm depending on package length). Drive down total cost of ownership for dry package weighing applications with the fixed height Thermo Scientific™ Versa Flex Checkweigher. This general purpose unit weighs light to heavy-weight packaged food, pharmaceutical and personal care products. 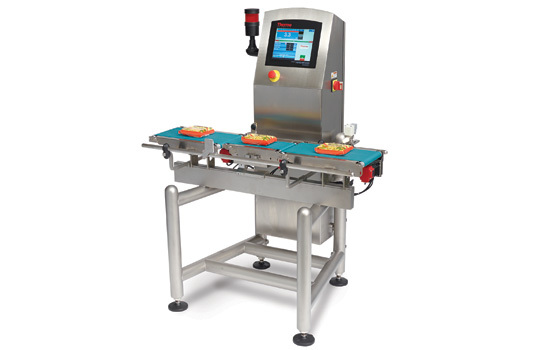 Improve throughput with the Thermo Scientific™ Versa 8120 Chain Checkweigher. 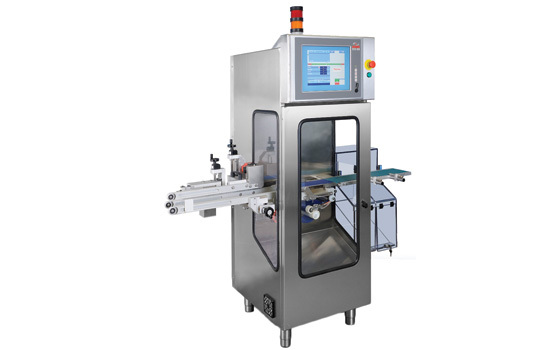 With line speeds up to 700 packages per minute, the Versa 8120 Chain Checkweigher provides reliable high-speed weighing, control, and reject functions for cartons, cans, bottles and pouches in dry or wet environments. Maximize profits and minimize product giveaway with the Thermo Scientific™ Global VersaWeigh™ Checkweigher. This versatile, scalable system is easy-to-use and maintain and now features more than 10 engineering and functionality improvements. Meet the high performance standards of the pharmaceutical industry with the Thermo Scientific™ Versa RxV Marking and Verification Pharmaceutical Checkweigher for track and trace applications and the Versa Rx Pharmaceutical Checkweigher. 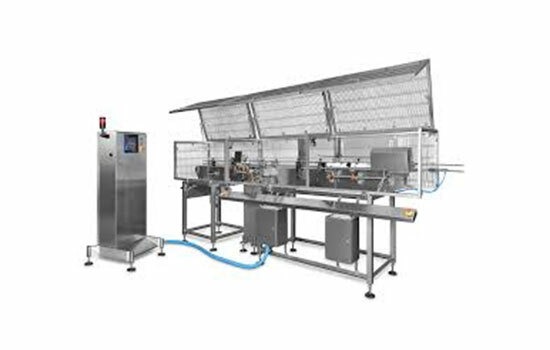 Depend on the Thermo Scientific™ Versa Teorema Checkweigher for unparalleled speed and accuracy in today’s demanding, high-rate canning lines. 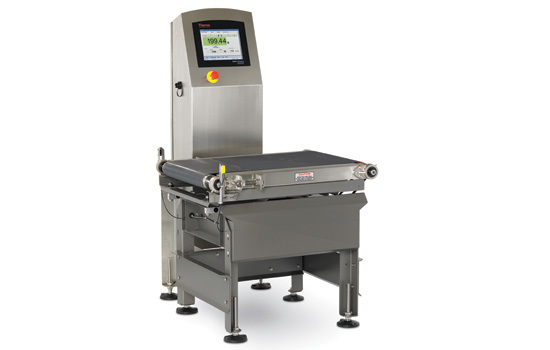 Combining rugged capability with accuracy, the Versa Teorema checkweigher provides a new standard in high-rate can weighing.